In today’s fast-paced and bustling society, it may seem impossible to find a place that offers both tranquility and excitement within the same area. Jones County, in Middle Georgia, is such a place, offering businesses, families, and retirees an endearing and affordable lifestyle. The Keep Jones Beautiful Commission was started in 1978 by Carol Brittain. Under her direction, it won two National First Place awards which were presented to the KJB Commission in Washington, D. C. In 1981 Carol Brittain received the Professional Leadership Award which was one of the four awards presented in the United States. The award was presented in Washington, D. C. There were several first place awards received on the state level by Commission Directors, Carol M. Brittain and Tammy Seabolt Brittain. Awards were received based on the submission of a detailed account of all of the events and program accomplishments sponsored by the Commission for the year. KJB is a local affiliate of Keep America Beautiful, Inc. and Keep Georgia Beautiful, Inc. which are under the umbrella of the Department of Community Affairs. They strive to educate the public on the importance of preserving, cleaning and beautifying the environment with one of the goals to be litter free. Emphasis is placed on the importance of recycling and proper waste disposal. Volunteers from throughout the county serve on a commission/board dedicated to beautification projects and educational programs designed to improve our community and promote awareness of environmental issues. Partnerships have been formed with the schools as well as civic organizations, churches, scouts, residential neighborhoods, the business community, and law enforcement. Examples of the success of this program are seen throughout the community including Carol’s Park, seasonal decorations, day lily beds along the railroad tracks, and the planting of trees and flower beds in several public areas and government buildings. There were numerous grants received under the direction of Tammy Brittain and Carol Brittain. Carol Brittain received grants to initiate the County’s first recycling centers and earned an outstanding reputation for Jones County throughout the state in our innovative leadership in this area. Tammy Brittain received the first Scrap Tire Management grant which was used to begin the Environmental Code Enforcement Program. This program still continues although all state funding has been eliminated. Tiffany Whorton is the County’s Code Enforcement Officer. Grants have sponsored a wide variety of things from the purchase of playground equipment and timbers enclosing the area made from recycled tires to oil recycling stations at several recycling centers. 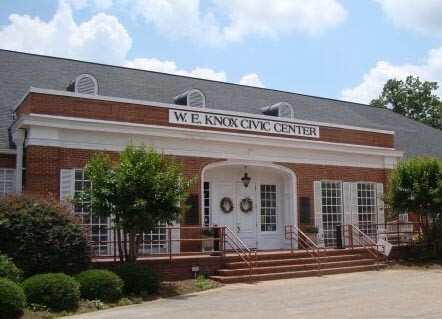 The office is open part time and is located at the Jones County Civic Center in downtown Gray. Jones County is rich in history and natural beauty. 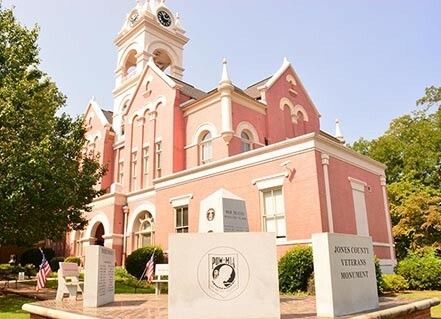 Originally inhabited by the Creek Indians, Jones County was part of the frontier settlement when it was partitioned from neighboring Baldwin County on December 10, 1807. Named for James Jones, a prominent Savannah attorney, Georgia legislator and United States Congressman, Jones County sat on Georgia’s southwestern border, at that time the Ocmulgee River. The original county seat of Clinton was one of the fastest growing centers of trade and culture in Georgia. It was a bustling town known for commerce and gracious living and the site of a factory of manufacturing cotton gins. Although the county prospered into the 1860’s, the Civil War had a profound effect on the county. Many of the county’s sons, homes, churches, schools, and even entire towns were lost to the war effort. Union troops burned the town of Griswoldville to stop the manufacture of Confederate pistols. Blountsville also suffered great losses during the War, and eventually disappeared. Moving into the twentieth century, the city of Gray became the county seat in 1905, and the city began to thrive with commercial and retail establishments. Gray is supported by excellent rail and highway access. Now a mixture of the old and the new flourish in the county which is dotted with small, quaint communities: Round Oak, Griswoldville, Haddock, Wayside, Bradley, East Juliette, James, and Clinton. 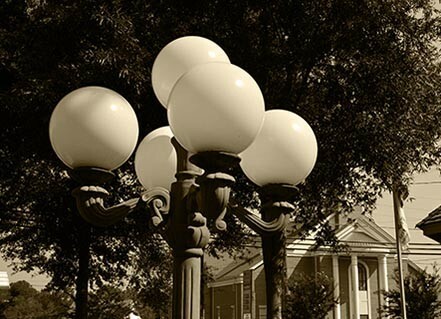 Each of these communities is unique and rich in history, offering a glimpse of what life has been like in Georgia over the last two hundred years, and all are important to Jones County’s heritage. The renovated Jones County Courthouse, which was built in 1905, is located in Gray and is listed in the National Register of Historic Places. Another of the numerous sites of historic significance is the former Jones County High School facility, which was designed by female architect Ellamae League (1899 – 1991) and constructed in 1936. This facility has been renovated as the Jones County Civic Center, which houses the Jones County/Gray Chamber of Commerce, the Development Authority of Jones County, the Keep Jones Beautiful Commission, the Jones County Boys and Girls Club, Central Georgia Technical College, the Jones County Auditorium, the Family Connection office, and other meeting area for public and civic purposes as determined by the five-member county commission. 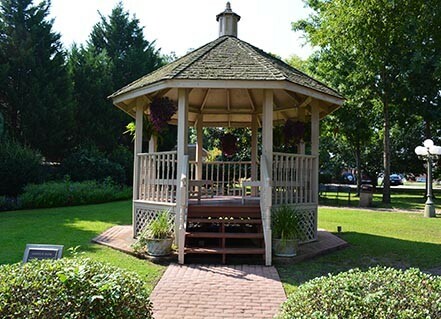 Located adjacent to the Jones County Courthouse in downtown Gray, this park offers picnic tables, benches and a gazebo. This park was named for Carol Moss Brittain upon her retirement as the Clean Community Coordinator after 18 years of service. She designed and over saw the development of the park. This park provides a quaint, romantic setting for outdoor weddings and is the perfect place for family picnics. 2016 © Copyright Jones County Board of Commissioners. All Rights Reserved.